Researchers at Dalhousie University in Halifax and the University of Guelph found over 52 per cent of consumers surveyed said they face barriers in adopting the guide's recommendations. The survey generally found a lack of reliance on Canada's Food Guide for advice, though 74 per cent of respondents were aware of its 2019 upgrade. "I would say that many Canadians are struggling with the concept of how the food guide, the plate they see on the pamphlet, connects with their own reality and frankly, Canadian agriculture," said Sylvain Charlebois, a food researcher at Dalhousie and lead author on the report. "It's great to celebrate this ideal but if it's out of reach, if many Canadians feel it's out of reach, how good is it?" 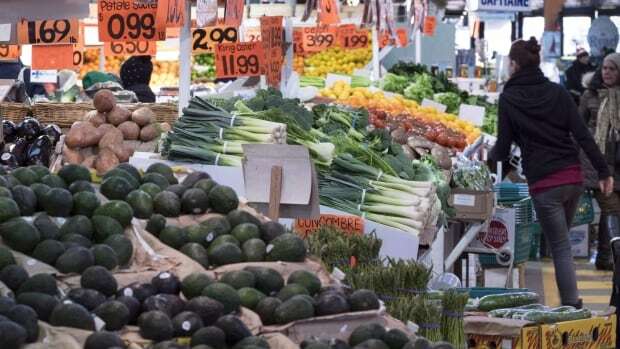 The report cautioned that Canadians' rapidly changing diets, fluctuating food costs and availability of produce could make the new recommendations less affordable over the next few years. The number of vegans, vegetarians and "flexitarians" — people consciously eating less meat — is on the rise in Canada, now totalling around 6.5 million people, a group roughly the same size as the population of the Greater Toronto Area. If the trend continues as more people cut meat from their diets and turn to plant-based proteins, demand for and price of fruits and vegetables could increase further. That could price people out of the food guide's suggested diet. "Over time, we do believe that there's going to be an increasing number of Canadian households that will become food insecure, if they are to follow the new food guide," Charlebois said. Health Canada said the department welcomes the researchers' study and is currently reviewing it. "This is why the new food guide is less prescriptive — talking about proportions rather than portions — and its recommendations can be adapted to different dietary preferences," it said in a statement. "The findings of the study could potentially help inform our efforts to promote broad awareness and use of the food guide among Canadians," it said. Working with the agriculture sector is also important, Charlebois said, in order to assess whether Canada's production capacity lines up with what the food guide recommends people eat.